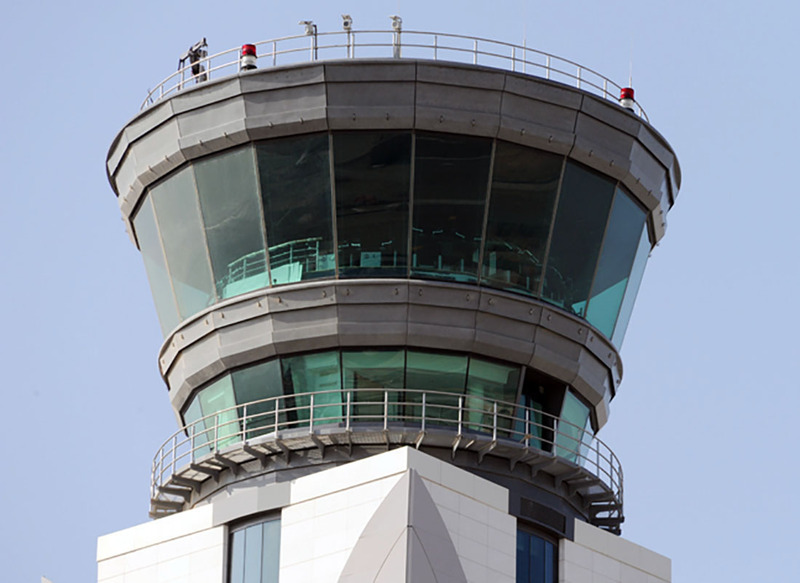 The new terminal and runway at Muscat International Airport, the largest airport in Oman, has a capacity of 12 million passengers per annum. 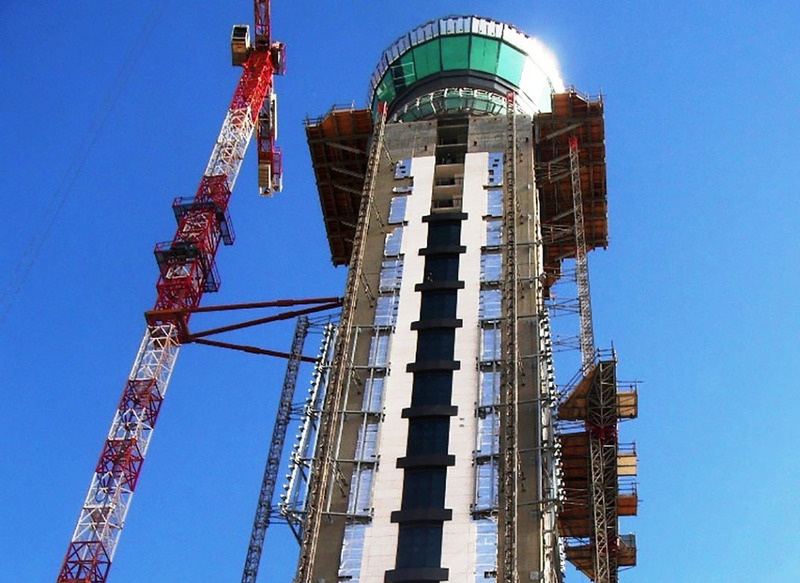 This prestigious project is one of the largest that Tex ATC have been involved in; the tower being 97.6 metres high and with 100 square metres of floor space within the VCR. The structure is engineered to carry the load of a building maintenance unit running the periphery of the control room roof and specifically designed to enable independent glass replacement should the situation ever arise. To demonstrate samples of the components being used, a full size mock-up was erected as part of the clients’ specification. The visual control room comprises 20 facets of Tex ATC ‘Maxi-View’ laminated glass, providing the controllers with a 360 degree uninterrupted view. Each panel measures over 4 metres high, is over 55 mm thick and weighs in at over 1200 kg. The VCR has been designed to a high specification, meeting with strict acoustic specification (25NR) whilst accommodating high extreme temperature variables and fulfilling the requirements to structurally comply within Seismic Zone 2A.